There are a variety of reasons why industry firms make ARTBA’s publications a key part of their advertising strategy. Transportation construction generates $508 billion in total annual economic activity for the nation—and accounts for 1.6 percent of Gross Domestic Product. A total of $285 billion in highway, bridge, ports, and waterways, airport runways and terminals, transit and rail construction, design and maintenance work was completed in the United States during 2016. ARTBA’s members account for 70 percent of the domestic transportation-related revenue of the top 50 transportation contractors on the ENR top 400 contractor list. 75 percent of the world’s 20 largest equipment manufacturers are ARTBA members. ARTBA members account for 85 percent of domestic transportation-related revenues, or $8.7 billion, for the top 50 transportation design firms on the ENR top 500 list. Nearly 14,000 federal, state, and local transportation officials and safety professionals receive the digital “Transportation Builder” and Washington Newsline. Transportation construction contractors spend nearly $7 billion annually in equipment purchases, leases and rentals, and other capital investments. On average, transportation construction contractors spend 10 times more on equipment and capital investment annually than general construction firms. The average ARTBA contractor annually spends over $500,000 on equipment and capital investments. 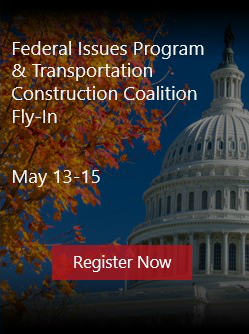 Advertising in ARTBA publications is a unique opportunity to support the mission of the only national association that works exclusively to grow and protect the U.S. transportation design and construction market. Increased federal investment in surface transportation provides new market opportunities for industry firms.